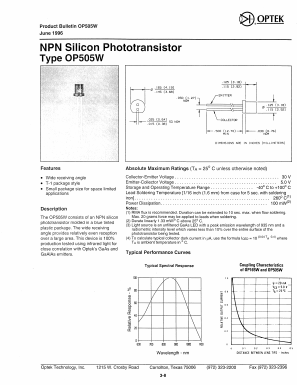 The OP505W consist of NPN silicon phototransistors molded in blue tinted plastic packages. The wide receiving angle provides relatively even reception over a large area. This device is 100% production tested using infrared light for close correlation with Optecks GaAs and GaAIAs emitters.